Here is how you can send outbound emails from ContactHero tracked in contact history. From your account page, configure your outbound email server. 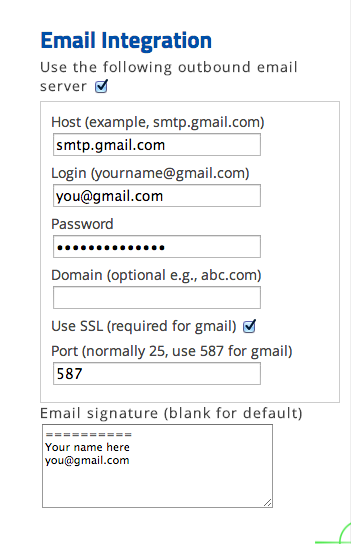 Below is an example for how to configure gmail (see notes below). Then go to any contact on contacthero.com and send them a message (+ Message). A copy of the message should be saved in ContactHero history plus it should go out in this case Gmail or whichever email server you have set. Note you can also set a time to send a message later in which case the message will show as "Pending Message QUEUED." The first time you do this and ContactHero signs into your gmail account, you may get an email from Google saying "Suspicious sign in prevented." In this case, you will need to go directly to https://mail.google.com and click on this link at the top of the page acknowledge that this was you, otherwise emails will not be able to go out from ContactHero. Another alternative for gmail is to create an application-specific password (see link) for ContactHero. This is more secure and you do not need to enter your gmail password into ContactHero. Don't miss a call again. See who you need to call at a glance. 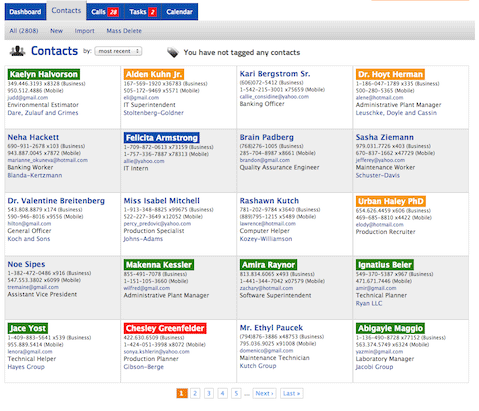 Using www.contacthero.com you can schedule calls with reminder alarms linked to contacts. Works with iOS and Android. Don't miss a call again. 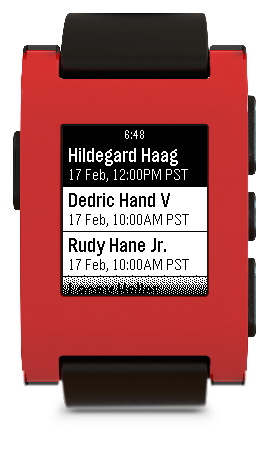 See who you need to call at a glance on your wrist using your Pebble smartwatch. Works with iOS and Android. 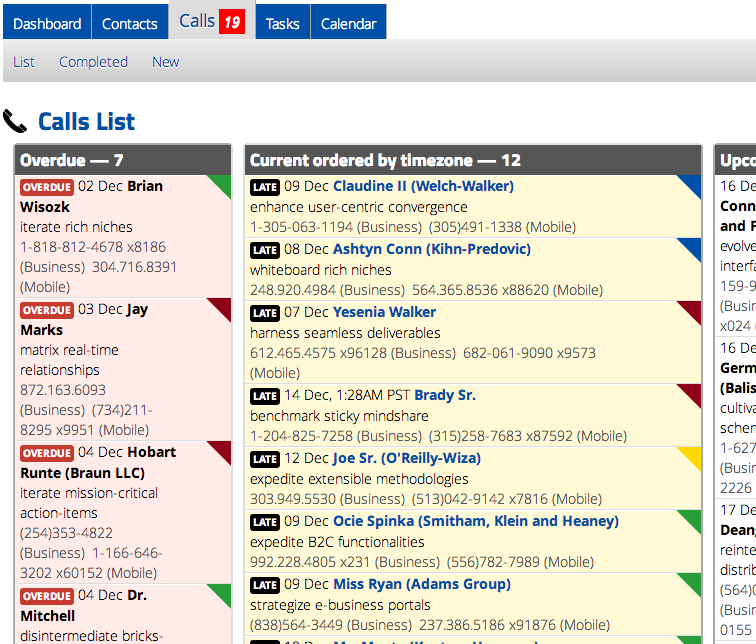 Syncs with your list of calls on contacthero.com. You can see each call and also mark calls as complete. Now you can quickly see all your calls visually by timezone. Your list of current calls is also ordered by timezone so you can immediately see which customers you should call first during the day! The timezone is inferred from the area code of the phone number of the contact that is linked to call. Calls to 800; 866; 877; and 888 always show in your timezone. This works only on calls logged to US and Canadian phone numbers. Version 2 is completely re-written from the ground up for iOS 7. 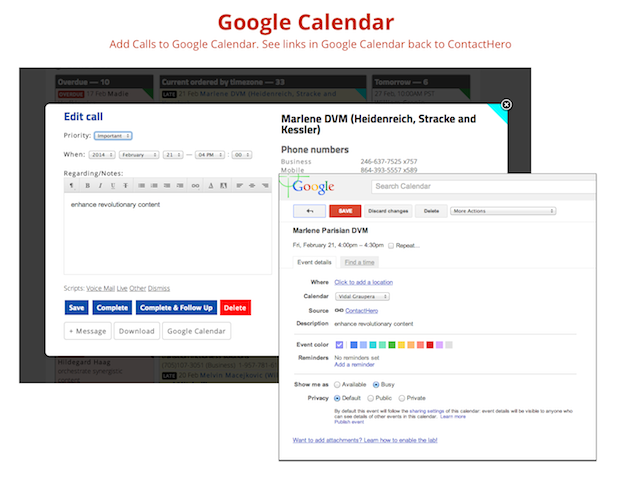 Schedule calls with reminders linked to contacts. Works with the address book already on your phone. Cloud sync with push notifications is available for in app purchase. 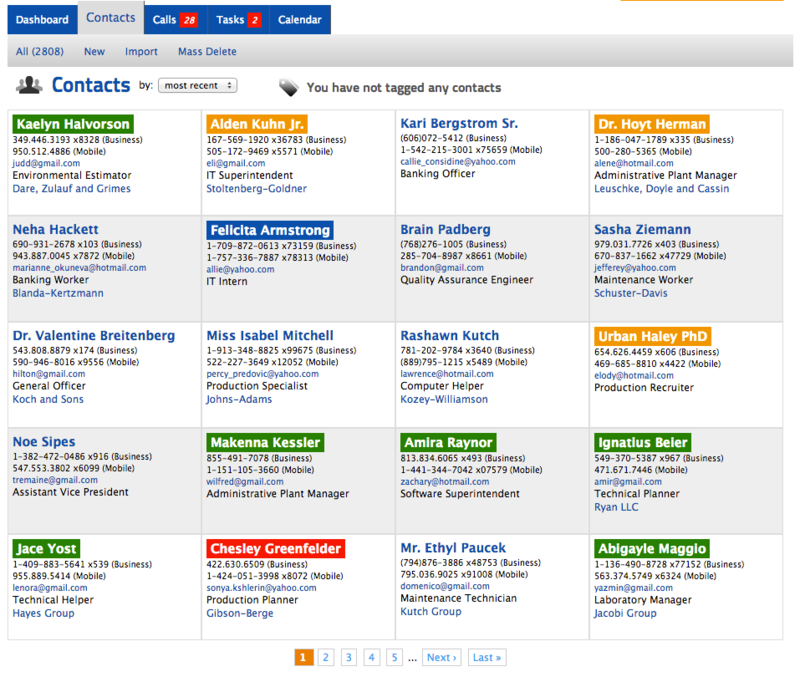 Now you can color code your contacts with 1 of 4 different personality types. Use the HERO identifiers is to help you to remember the best way to communicate with people.